Toll Free: 888-223-9488 • Call Us: +1-203-413-2414| Have a Question? Tackling research whether qualitative or quantitative shares a common obstacle – being pressed for time and quality. More often than not, many researchers struggle to find balance between efficiently producing work filled with fact-based actionable information versus the pressing matter of deadlines. Listening to a multitude of interviews, focus group discussions, conference calls and other forms of primary research to glean something from respondents is not only time consuming, but also exhausting. It can be challenging to waddle through an hour of audio to find a certain quote, anecdote, or perhaps a series of questions and answers that would reinforce the study substantially in the completed report. It saves time: Time is money in research, and some circumstances can put a pressure on researchers to finish a study as soon as possible. A transcription service remedies this by producing timely results with accuracy that helps customers focus more on the study. 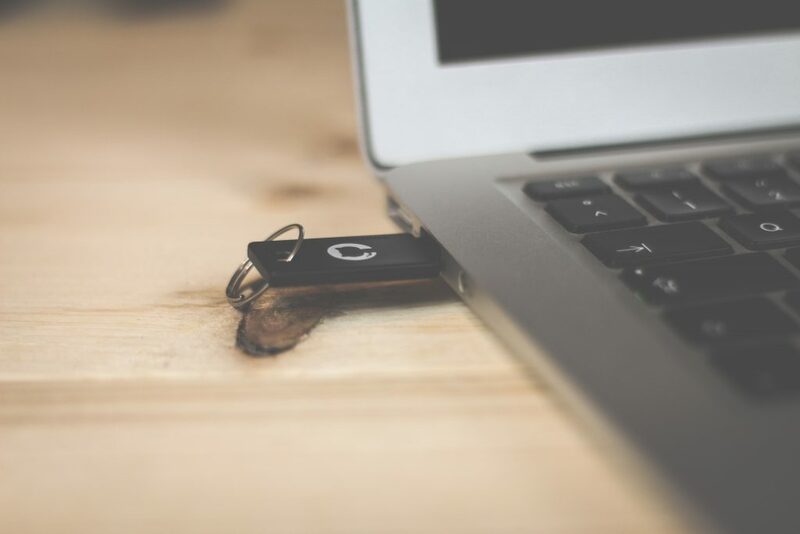 With a transcription service, a researcher can have peace of mind leaving their recordings to professional transcribers and editors to handle for easier and more substantial data gathering. TranscriptionWing, for instance, uses an innovative solution called ListenLink where researchers can simply click on a link and they can then review the specific segment of the audio corresponding to the transcript with ease, instead of laboriously searching for a specific part or word heard in the recording that may be unclear to them, the transcriber, or the editor. It offers flexibility: The tradeoff of saving a few bucks versus the time-consuming process of transcribing raw audio may not be worth it. In conjunction with saving time, transcription services offer flexibility by offering per-minute charges. Most transcription services only charge according to the number of minutes of transcribed audio. Additionally, researchers can opt for timely delivery options where they can get their transcripts back whenever they need it most, which aids in the manageability of their schedule. It lightens the researcher’s workload: Gathering data and generating reports for research are both undeniably hefty responsibilities. Recordings involving hour-long interviews with ten respondents may constitute twenty pages of transcript on average for each, resulting in around two hundred pages of transcript. Needless to say, this is a huge volume of workload even for a research assistant or an intern, which could demand time that would be better spent in more meaningful tasks. A good transcription service can deal with such hefty workload in only a few days. Better yet, their expertise in research transcriptions allows them to produce more accurate transcripts in a shorter length of time. Research transcriptions can also be made according to a researcher’s specified format or template where the transcriptionists can identify and label speakers depending on the researcher’s need. It ensures the quality of the data: Listening to a recording and analyzing data gathered from a number of respondents is not only time consuming but can also be overwhelming due to a multitude of ideas. Transcription services help researchers by creating a quality transcript of the audio from beginning to end and can even include timestamps to help lead the researcher to the most substantial parts for analysis. 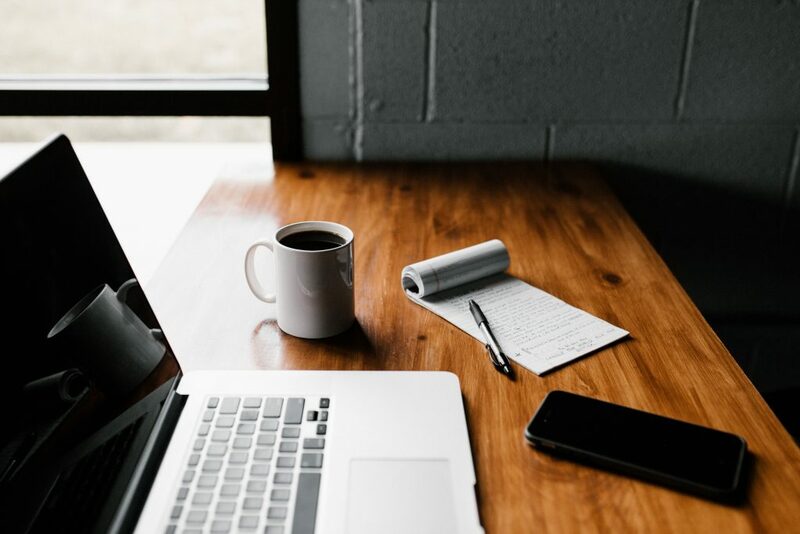 Instead of pushing the playback button over and over again, transcription professionals can help researchers overcome their deadlines and more importantly, build their study or dissertation with better structure and organization. It exercises strict confidentiality: Transcription services help protect the privacy and confidentiality of the research by safeguarding the researcher’s data in a step-by-step process, from receipt to delivery, to ensure data security. Afterwards, research transcripts are often contained and deleted in a secure manner with the supervision of a chief confidentiality officer. We at TranscriptionWing value and understand the immense responsibility of engaging in research. 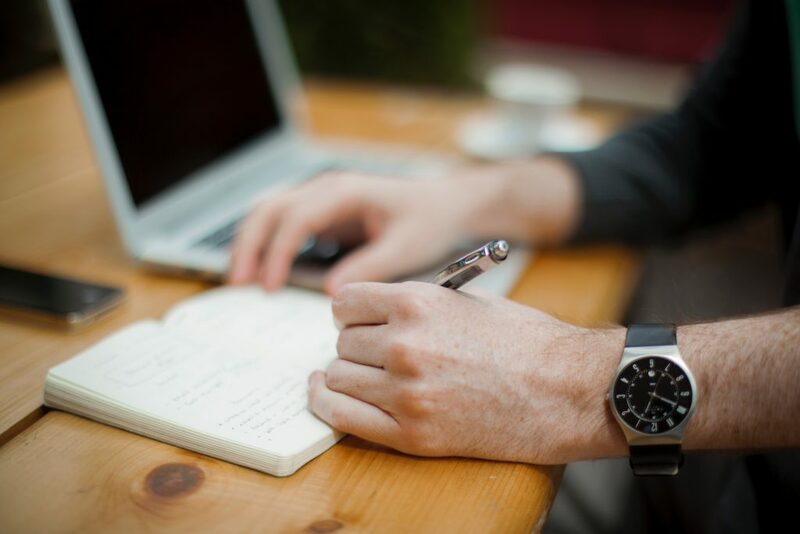 With the help of our accurate and flexible research transcription services, we aim to unburden your workload so you can instead focus on more meaningful tasks on your checklist. What Are the Different Types of Research that Can Benefit from Transcription? Anyone who has done even a modicum of research for dissertations, presentations, market research purposes and the like can attest that research is often a time-consuming process that saps away at one’s time until one is left only with the impression that he or she has sunk a large amount of time in something that may even prove to be pointless. Then again, who says research has to be so time-consuming and exhausting? The enterprising researcher knows best when to fold and when to not fold, when to push forward and when to take a small step back in order to prepare for the next moves. Most of all, the enterprising researchers knows best when and how to work smart; more specifically, by using transcriptions. The benefits of using transcriptions have been widely noted throughout, and for good reason. Transcriptions really do make everyone’s lives easier. How so? Before one answer the above question, one must first know the two main types of data that research gathers. 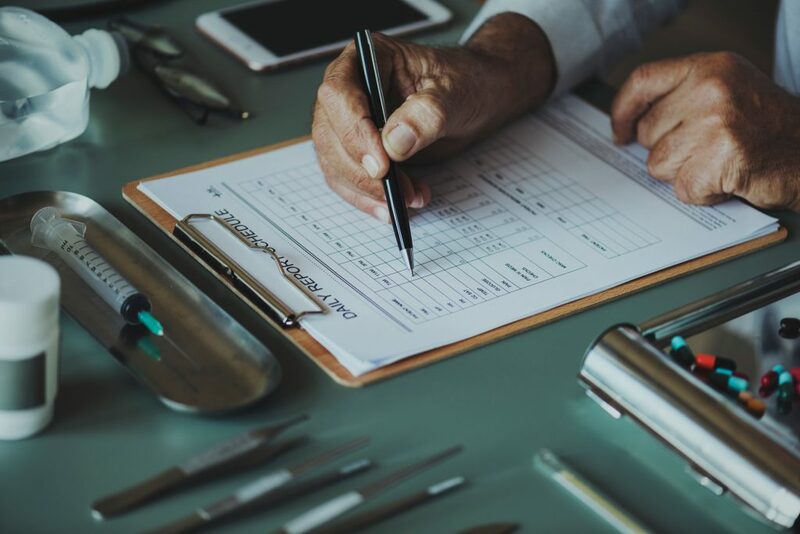 Many different kinds of barometers exist to categorize data but veterans in the field generally acknowledge two distinct yet overlapping categories: qualitative and quantitative data. Qualitative data often seek to solidify the human experience and are often subjective in nature while quantitative data seek to give definite answers to questions grounded in solid numbers and “hard” facts. Researches normally encountered in this day and age such as academic and medical researches usually incorporate a seamless mix of these qualitative and quantitative data, such that it is often hard to truly separate these two types of data. Market researchers looking to gather crucial information regarding the public’s stance towards their products and thus create a full picture of a certain market for their clients would do very well to use transcriptions for their every data-gathering session, because to not do so would mean that they would soon get swamped by a seemingly never-ending gush of data from the public. Features such as speaker labeling and video captioning and subtitling will make their tasks even easier. No more waking up in the middle of the night after having nightmares about a crowd of people surrounding you and talking only about one thing: Product X. Students, professors, and everybody else inhabiting the academia who are in the process of writing their theses and dissertations and research projects would find transcriptions of their interviews and focus group discussions invaluable in getting the right data for use in their academic work. With academic transcriptions on hand, they would be able to easily sort out and differentiate data from each other and accordingly code data with unerring accuracy, and thence pass their academic work with flying colors. No more losing sleep over trying to transcribe weeks’ worth of audio while struggling to juggle school and personal life (and failing miserably at both). Medical researchers would also find transcriptions an indispensable part of their work. Skilled transcribers from a high-quality transcription service would be able to accurately transcribe audio festered with dozens of medical terms and lingo, and even understand obscure terms that might leave some doctors and clinicians shaking their head in frustration, for they themselves never even knew such a term existed. This would allow researchers to simplify the data-gathering process and go straight to making sense of the myriad of data that they are now in possession of. Sermon transcriptions provide a ton of benefits. Not only does it allow pastors and preachers and holy men and women of all denominations to further spread their faith, it also lets scholars study sermons made by others, create new ideas with which to further propagate their religion, and even reach those members of the flock who are unable to attend religious services. It would be no exaggeration to say that legal transcriptions are the bread and butter of courtrooms. Without them, judges cannot review court proceedings and thus mete out the appropriate judgement as dictated by law, and landmark cases concerning important laws would be even more prone to misinterpretation and twisting of meaning, thus potentially impacting even some of the most basic human rights. Really, just about any type of research – whether academic or medical, legal or marketing, whether for use in the academe or in the professional world – benefits from transcription, for transcriptions provide researchers the means to truly focus on making sense of the varied data that they receive, for data is always not so simple as ABCD or 1234. 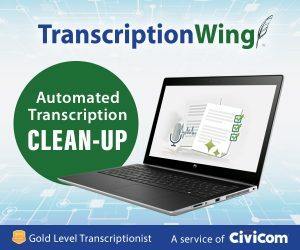 TranscriptionWing™ was launched in 2005 as Civicom’s general transcribing service unit and has since been serving quick and affordable transcription solutions to various industries including corporate, market research, academia, finance, biotech and life sciences, legal, media, and many more. 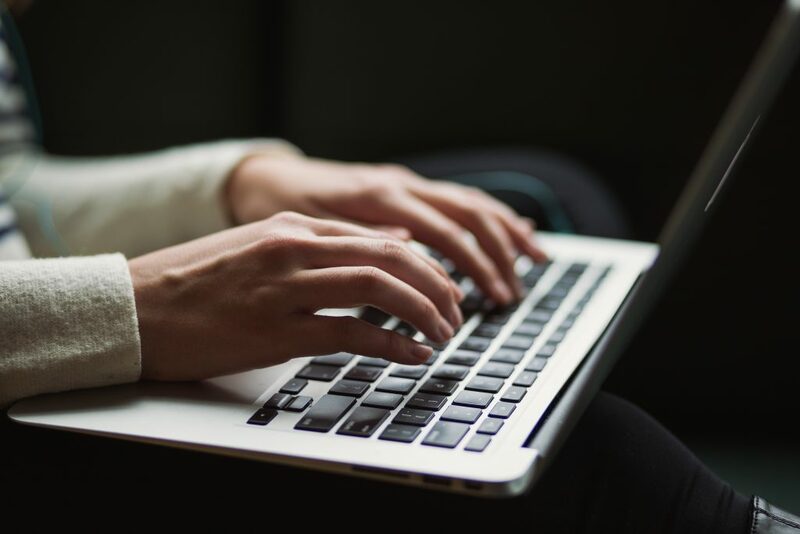 Earlier this year, TranscriptionWing launched its clean-up editing service for automated transcription companies to help improve the quality of machine-generated transcriptions offered by many services in the market today. While convenient and affordable, automated transcriptions have yet to reach 100% accuracy – until then, the human touch remains critical in producing accurate and coherent transcripts. Upon receipt of a clean-up service request from a Sonix customer, their transcripts undergo a fool-proof editing and review process by seasoned TranscriptionWing editors. With affordability, flexibility, and high accuracy in mind, TranscriptionWing will convert a machine-generated transcription into reliable and workable transcripts for analysis, reporting, and documentation. Sonix utilizes an automated transcription software powered by cutting-edge AI to transcribe, timestamp, and organize audio and video files so they are easy to search, edit, and share. Originally established to provide transcriptions complementing Civicom’s conferencing services, TranscriptionWing continues to provide affordable and accurate audio transcriptions to various industry sectors including market research, technology, finance, legal, educational, and religious organizations. TranscriptionWing™ specializes in general transcription services, providing accurate audio transcriptions at flexible turnaround options that range from four hours to five days, at rates that are as low as $1.29 per recorded minute. TranscriptionWing operates in a culture of confidentiality that ensures project security and client information privacy, and has undergone HIPAA compliance training. While many services try, test, and struggle with the automation of speech-to-text conversion, TranscriptionWing continues to provide the indispensable human touch in the transcription process. TranscriptionWing is a service of Civicom Inc., a reliable global leader in audio and web conferencing, that provides advanced virtual communications solutions for the world’s top organizations. Civicom also serves the marketing research community, with a strong industry presence in facilitating virtual IDIs and focus groups, online multimedia boards, and mobile research. Civicom is powered by a combination of proprietary audio conferencing technology, online meeting software, web technology tools, superior recording capabilities, and a proprietary transcription system. For more information, visit https://www.transcriptionwing.com. Imagine yourself as a researcher hired by a company that sponsored a research. You show up 10 minutes early at the venue and soon, your interviewee arrives. The interview is about to begin but then you realize that an equipment you would use is missing – it could be a pen, source materials, audio recorder, or worse, you forgot everything! In order to avoid such mishaps, it’s always best to plan ahead and prepare everything. Here are some useful ways or tools that an interviewer must prepare before, during, and after conducting interviews. First and foremost, the interviewer and the interviewee should agree to set an appointment when and where the interview would take place. The arrangement should be organized days before the actual meeting so both parties are comfortable and can allot the time to accommodate the event. Coordination is very vital in this stage for the interview. Proper communication between both parties should be observed. If the interviewer plans to meet several parties to interview and the activity will be a whole day affair, then fatigue or exhaustion may come into play. Therefore, strategic planning for this type of scenario is advisable so one could assess beforehand how many subjects they can oblige during a day and the others could be scheduled some other time. If at any event one party decides to cancel, they should inform the other party immediately, so re-scheduling (or cancellations) can be done right away. 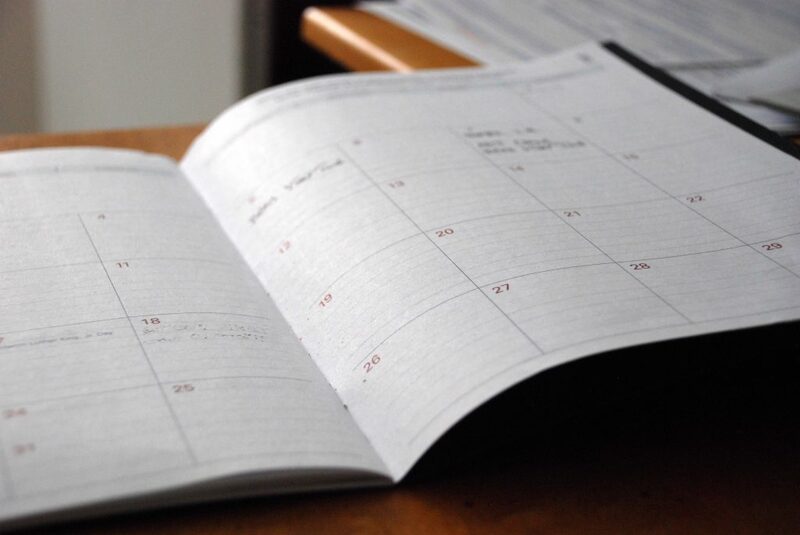 Arranging the appointment through useful tools such as Google Calendar, setting a reminder on your mobile, or by simply just jotting it down on a traditional planner are effective ways to make sure the interview would never be missed. Once the appointment has been arranged and both parties have finally met, it’s now time to conduct the interview. What better way to communicate nicely with one another during the session is by having it done in a setting where noise is very limited – not exactly very quiet, but at least a place where both the interviewer and the interviewee/s would be able to hear and understand each other very well. The exchange of thoughts and ideas would become smooth and effective if distractions were limited. Preparing the questions beforehand would also be ideal. For job interviews, it’s best advised if you already know what you’re looking for in a candidate, so asking the right questions that are pivotal to the role they are applying for would be utilized. Open-ended questions are also important so the applicant’s answers could be expanded. Lastly, setting a calm and stress-free environment could also be an effective way in order to get the best answers from respondents. Offering a glass of water, explaining what types of questions are about to be expected, and just being friendly and casual all throughout would lessen the anxiety felt by the respondents and rapport would be established. Some interviewers opt to have their interviews recorded rather than take copious notes. 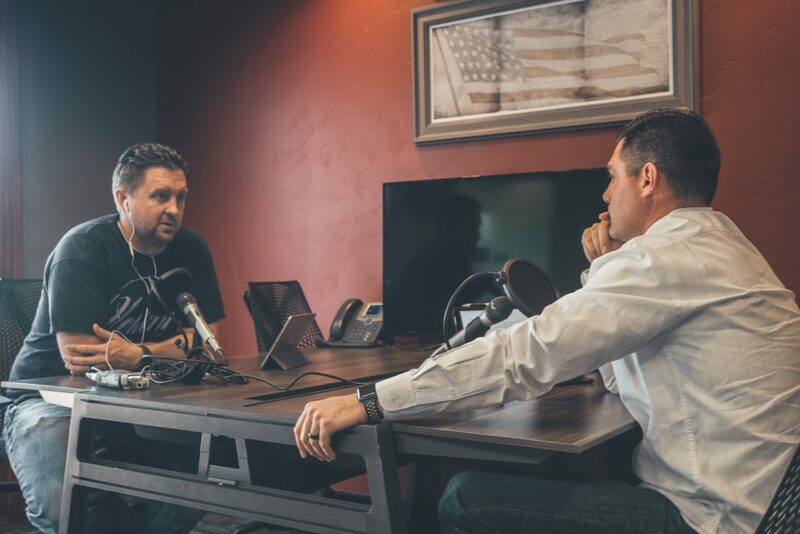 Although recording an interview is not mandatory, the real essence of why some do is that they can capture data from the interview as accurate as possible. This also allows interviewers, researchers, or moderators engage and focus better on the respondents and their answers and not get distracted while writing notes. 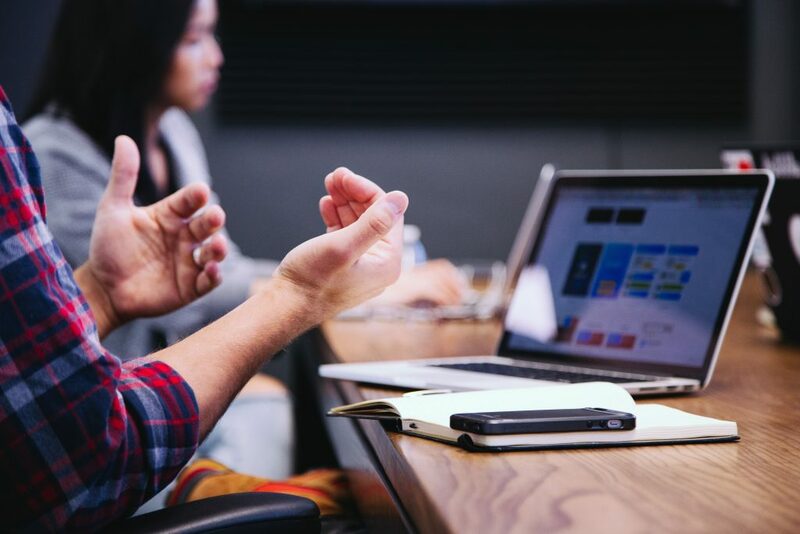 Market research interviewers typically like their sessions recorded so they can go back and re-listen to the things mentioned by their subjects while they analyze and document them for reporting. In this case, it is very effective for an interviewer to have an access to a room with very minimal to almost zero background noise so everything can be taped clearly for more effective use. Smartphones nowadays offer a variety of tools and apps that make our lives easier, and voice recording is one of the many built-in features that is essential when recording interviews. While using a smartphone to record is the most accessible option, a few still prefer to use external microphones attached to different devices when recording very long sessions or interviews. Some researchers also conduct their sessions inside a conference room with built-in voice recorders or an analog conference phone to record meetings; while some who conduct their interviews online, record their conversations or discussions through Adobe Connect or Skype. Transcription is useful to people for all kinds of purposes whether personal or professional. It can be used for education, legal, business, medical, market research, and many other purposes. Transcribing dictations or recordings are typically done by general transcriptionists, although in some specialized cases, a license is required for an individual to transcribe recordings especially if the document is to be used for legal or medical purposes. Some researchers may prefer to do the transcription by themselves while others approach different transcription companies to do the work for them. Interview transcriptions can either be manual or automated. Machine transcription provides faster turnaround but the accuracy may be subpar which in turn affects the quality and unreliability of data. Therefore, many still prefer manual transcribing work since it is processed by experienced or seasoned transcriptionists with guaranteed accuracy and can produce quality outputs. Manual transcribers often use a system or a program that helps them seamlessly play the audio as they type. These transcription programs enable them to modify the speed of the audio to suit their comprehension and typing speed. Other important functions that a transcription program needs to have are the rewind, pause, stop, and fast forward buttons typically programmed with hotkeys for easier and faster use. An example of free transcription software that has these capabilities is ExpressScribe. It also offers other helpful tools to make a transcriptionist’s job easier such as audio boost, minimizing background noises, and many others. Once done, the transcriber can then send soft copy of the transcripts either through email or print them for physical mail. Once the researcher/interviewer has got hold of all the necessary things they need, data collection then takes place. For job interviews, a recruiter gathers all the information they have acquired during the interview. This process is paramount in order for the company to completely assess the applicant’s education and employment history, especially if they are choosing among multiple candidates. Furthermore, companies that collate and store other applicant profiles can still get in touch with the other deserving candidates for other job offers in their organization. In the case of market, medical, and academic researches, documentation of interviews would bring about statistics and hypothesis for the subject they are studying. Their fact-finding or analysis can also be archived as a basis for future research work. All in all, these tools can be utilized to make each and every interview a success. Interviews are very important after all, as it improves the capabilities of the researcher or interviewer’s information-seeking and decision making skills; and for their respondents to be open and candid as they share their knowledge and expertise to others. What is Market Research Transcription? Market research, in a nutshell, is essentially directly talking with the target audience of a certain product and getting their suggestions, opinions, thoughts, and the like in order to further refine their products and outsell competitors in the market. This is conducted through somewhat indirect methods such as surveys and questionnaires, and more frequently, through more direct methods such as interviews and focus group discussions. 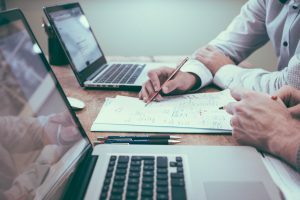 It can be done by staff of the company itself or it may be subcontracted to third-party market research firms that do all the proverbial dirty work, from getting survey samples to phoning potential respondents and interviewees to conducting interviews and focus group discussions and the like. The need to thoroughly assess a given target audience’s likes and dislikes and needs and preferences means that market research often takes weeks, if not months or even years depending on the complexity of the data needed, to finish. The problem market researchers face, then, is how to thoroughly sort out and interpret the data gathered in such long periods of time within a given deadline, a task that is virtually impossible to accomplish without that something that would make it easier, or at least bearable, for them to wade through this veritable sea of data. And what is that something? Market research transcriptions. Market research transcriptions are basically the audio data gathered during the course of market research converted into word form. This kind of work is typically sub-contracted to transcription services, wherein skilled transcribers and quality checkers transcribe audio using a variety of different tools and software in order to deliver the highest-quality transcription possible. There exists different types of market research transcriptions, all of which may not seem impressive at first glance, but make no mistake: market research transcriptions do offer several advantages for market researchers. One, it makes quoting a lot easier. No longer would a market researcher be stuck listening to audio again and again trying to find the quotations that matter, because he or she has the transcript on hand and ready to be searched with but a single click or two. Second, it allows for an accurate collation of data that allows for pinpoint accuracy in data-gathering. Say, a company developing beauty products decided, midway into their product development, that they wanted to hone in on a specific demographic – middle-aged women – yet they had already conducted focus group discussions with women of all ages. With transcripts, they would not need to undergo the hassle of trying to identify who’s who themselves – or worse, having to repeat their interviews or find new respondents – for they could simply request that their chosen transcription service put in labels differentiating their target demographic from the other interviewees. Tools such as timestamps and subtitles further enhance the capability of researchers to quickly and efficiently classify data. Lastly, market research transcriptions leave little room for errors in data-gathering arising from wrong understanding of respondents’ answers. With transcriptions on hand, market researchers can scan through the contents of a respondent’s answers easily, thus furthering their understanding of context and of the thought processes of respondents. Market research transcriptions provide all of the above-mentioned benefits and much more, consequently lightening the workload of market researchers and allowing them to focus on the more important aspects of their job. Without transcriptions, market researchers would no doubt flounder and lose sight of irreplaceable data. A service of | Copyright © 2018 | Civicom, Inc. • All rights reserved.